Interesting weekend and bad reporting. 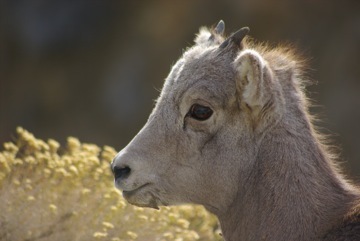 Domestic sheep DO transmit deadly disease to bighorn sheep. This also misrepresented what the Caine Vet Lab study, which he apparently does not have, actually demonstrates, it apparently shows that a domestic sheep transmitted disease to bighorns in the wild not just that it’s possible. Marie Bulgin, according to http://www.idahowool.org/AboutUs.html, is the president of the Idaho Woolgrowers Association. At the same time she is the Caine Veterinary Teaching Center Teaching Program Coordinator and has been employed there since 1977 making her claim that “the  study happened before she took the job in 2003 and she didn’t know about it until this year” rather dubious. I’m not saying that she knew about the studies but it seems that someone who knew about the Caine Vet study should have told her. Marie Bulgin not only claimed there was no evidence for transmission in the wild to the Idaho Legislature, she said it in Federal Court as well. Rocky has been repeating her claims in every story he has written about the issue and has never done adequate investigation into them, he has also never done any investigation into the “1997 deal” which is just as bogus. Can Idaho manage wild and domestic sheep together? The travels of one sick wild bighorn show how hard it will be to enforce a new state law to protect sheep herders. 8 Responses to Interesting weekend and bad reporting. Junk science, junk reporting and junk politics. That’s the Idaho way these days. The Salmon River bighorn are in big trouble–numbers down to a 100 or so? We cannot let this native population die out on our watch. One of Carlson’s domestic sheep allotments, the Allison-Berg allotment on the Nez Perce NF, is undergoing NEPA review on the domestic sheep/bighorn sheep conflict. Comments are due, by my calculation, on or before June 15, 2009. As many comments as possible should tell the Nez Perce NF to protect bighorn sheep and other resources on the Allison Berg allotment, and not allow ANY domestic sheep to graze because of the possibility of disease transmission. Can someone give us a website to write to in order to comment on this important issue or must they be written comments? Are the numbers really that low? That is awful. I wouldn’t even call what the statesman has been doing on this issue for the past few years reporting. Today’s pablum piece is the same formulaic unquestioning regurgitation of livestock industry propaganda. A seven year old who knows how to use Google could write a more factual piece. The only thing from the reporter’s basic formula that was missing was a churlish rancher remark about wolves. Drivel. Tripe. The sooner the Statesman goes under, the better. From what I gather, for a local paper to be as critical of industry as of what we do, we must hold to a remarkably high standard, & even then, it probably won’t get published – they’ll take a quote from someone in the conservation community committed to not rocking the boat, and then grant the industry itself carte blanke space to leverage its criticism against those that are willing to rock the boat. This is sad, and whether it’s the reporter’s hesitation, the editorial board’s double standard, or an organizational culture that has learned to do so in response to the political reality in the state ~ it is the same coersive phenominon that suppressed the ’94 study for so long in the first place. This state’s local media is impotent – having to hide behind the AP and smooth over the impact. This is why local papers are dying all over the place. Virginia, if you read the notice at the link I provided, it specifies “written comments.” However, there is a contact provided for further info whom you could call and find out if electronic submissions will be accepted. The Salmon River RD accepting these comments operates out of a rustic office near Whitebird; while I’m sure they have modern niceties like e-mail, I am going to play it safe and send a hard copy by snail mail. no image tags — wordpress doesn’t allow it.